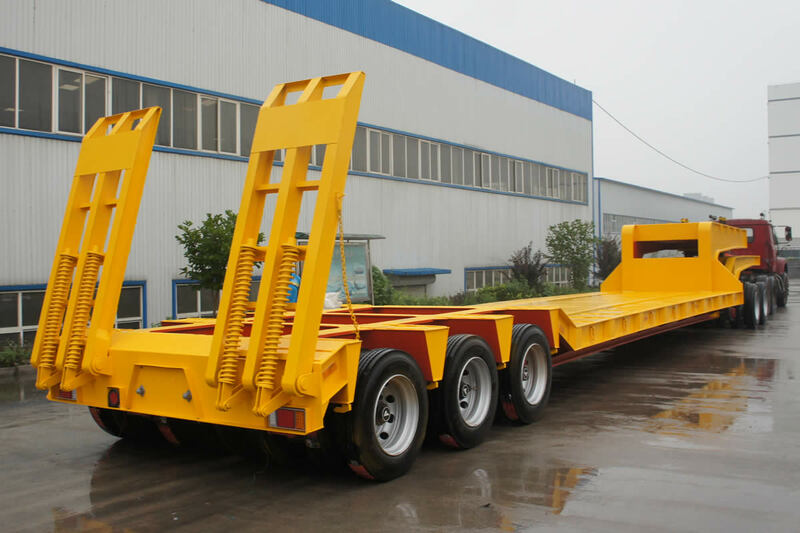 Supply lowbed trailers for road transport of construction machines and equipment like crawler crane, excavator, crawler loader and other crawler/tire equipment. Due to drop deck design, it always comes with a gooseneck, so it is also called low bed semi trailer. Low bed trailer has high traffic ability to go through bridge arc and tunnel, and it lowers COG(center of gravity) of cargo. Hydraulic platform trailer could be coupled with a low bed platform to transport oversize equipment over up to 200 tons. Front loading: With detachable(removable) goose neck, when remove the neck from low bed trailer, slope design of front deck enable construction machines climb up/down freely. Back loading: Equipped with fixed neck at the front and a climbing ramp at the rear of trailer, no need procedure to detach neck, just put down the mechanical/hydraulic ramp then you can load and unload equipment directly. By this means construction machines need strong ability for climb the high ramp. Want to lower overall travelling height more than lowbed trailer? 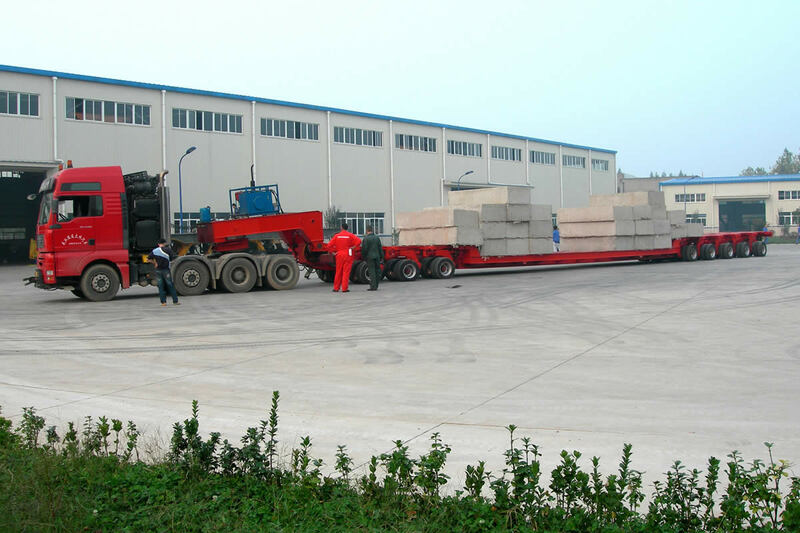 You need hydraulic modular trailer with girder beam set, only several millimeters to ground.